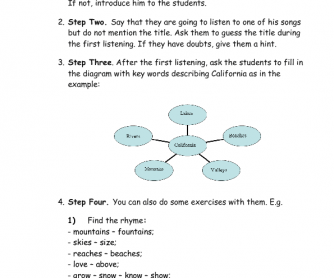 This worksheet is based on the song “California” by Frank Sinatra. This song is perfect for practicing topical vocabulary “Landscape”. 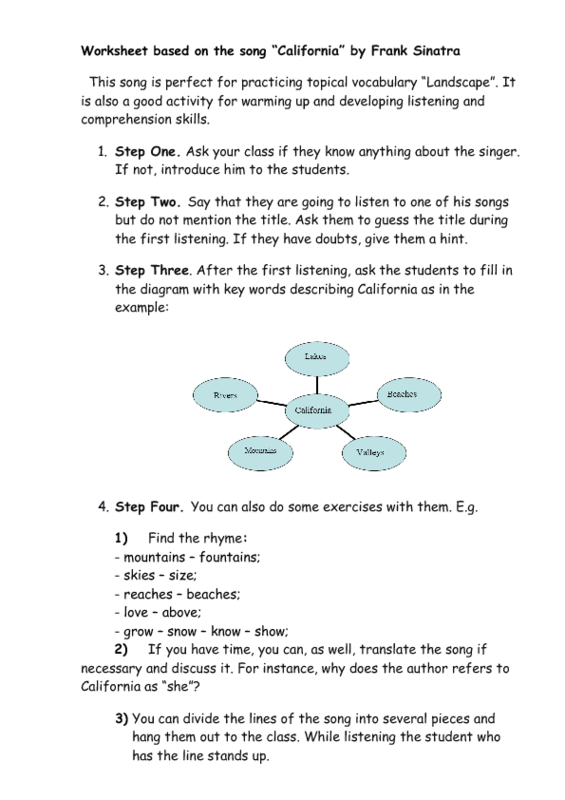 It is also a good activity for warming up and developing listening and comprehension skills.The first page describes how to work with the song and gives some examples of possible exercises. The second page contains the text with gaps that must be filled in. The third page includes the complete lyrics.